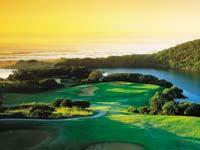 The Eshowe Country Club meanders through the famous Dhinza forest and grasslands of the Eshowe Hills Eco estate. 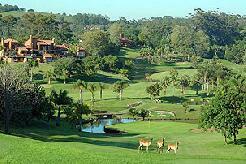 Rich in fauna and flora, the Dhlinza forest is famous for its wide variety of birdlife and strict environmental controls have ensured that the local birdlife and animals have been well catered for. 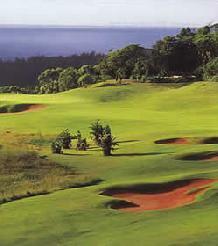 The Eshowe Country Club golf course was originally designed by the famous South African course architect - Bob Grimsdell who also designed Royal Durban. 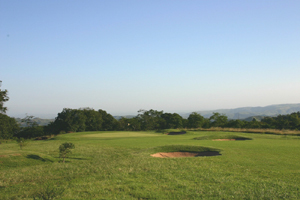 Recently, the course was upgraded by former European PGA Champion, Jeff Hawkes, who has ensured that none of its original character has been lost. 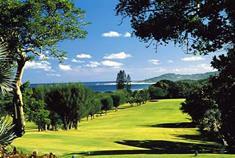 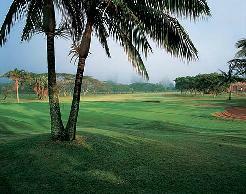 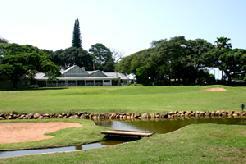 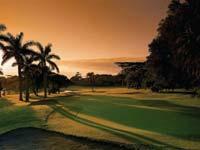 While not a long course, Eshowe Country Club is a real test of golf even for the skilled golfer. 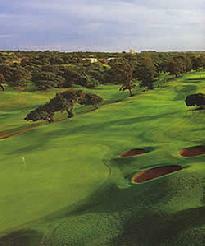 The 11th hole, at only 279 meters, is a short par 4 that can wreck your card. 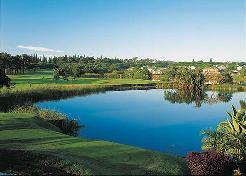 The tee shot is all important, too long and you are in a large pond guarding the front of the green and the trees on the right demand that you land in the right postion for your aproach shot. 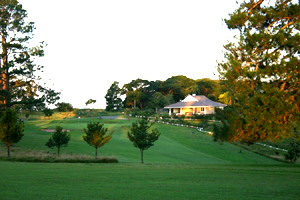 A par here is always welcome - even for the best of golfers. 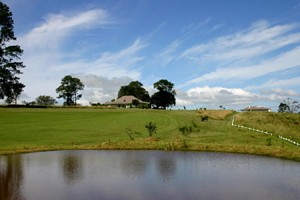 The introduction of 5 new water holes has given Eshowe Country Club a park like character which has in turn attracted a wide variety of water birds. 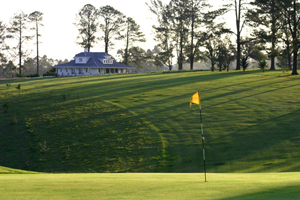 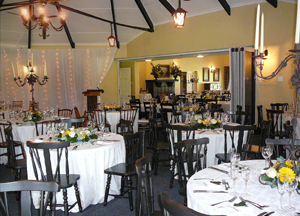 The excellent restaurant and bar facilities coupled with full pro shop services and a warm welcome will ensure your visit to Eshowe Country Club is an enjoyable one.